In March 2016, near Nelson, B.C., a dump trunk pulling a flatbed loaded with an excavator takes a turn at too high a speed. The excavator shifts on the flatbed, causing the trailer to flip, blocking both lanes of the highway for about an hour and a half. Thankfully, no one was injured, but the damage to the equipment, as well as the lost time for the commercial driver, the excavator operator, and the miles and miles of drivers backed up on the highway, added up to a considerable loss. In Calgary, Alberta, crews respond to a ramp on Crowchild Trail at Nose Hill Drive when an oversized load on the back of a flatbed trailer slips, breaking the trailer and blocking traffic for over three hours. The commercial vehicle driver tells emergency personnel he had to brake suddenly when a vehicle cut him off. When he hit the brakes his oversized load, a small building, shifted on the flatbed and bent the trailer, completely disabling it. The driver of a flatbed truck in South Carolina hangs upside down in his overturned vehicle for three hours when his load of cut two by four lumber shifts as he takes a corner. Emergency crews report it was one of the longest extractions they’d ever done pulling a live patient. Eventually, the driver is pulled to safety through the sleeper cab. In Campbell County, Virginia, a 44-year-old woman is killed when a log smashes through her windshield. Police said there were no other vehicles at the scene when they responded, but say it’s possible the log fell off a truck and the driver did not notice. Several pulp and paper businesses operate in the vicinity. When cargo or a vehicle part dislodges from a moving vehicle and falls onto the road, it becomes a serious hazard for drivers. Even a small item can be dangerous when it’s discharged at highway speed, prompting erratic avoidance maneuvers, and potentially causing a crash (AAA Foundation for Traffic Safety 2004). As in the examples above, sometimes large cargo shifts, slips, or dislodges from the vehicle with catastrophic results. According to the AAA Foundation for Traffic Safety, vehicle-related road debris (VRRD) that has been unintentionally discharged from vehicles onto the roadway is estimated to cause over 25,000 crashes per year in North America, resulting in approximately 90 fatalities. VRRD is either vehicle parts, such as separated tires, or cargo that has been unintentionally discharged from a vehicle onto the roadway. One of the best ways to prevent injuries and losses related to VRRD is education and training. 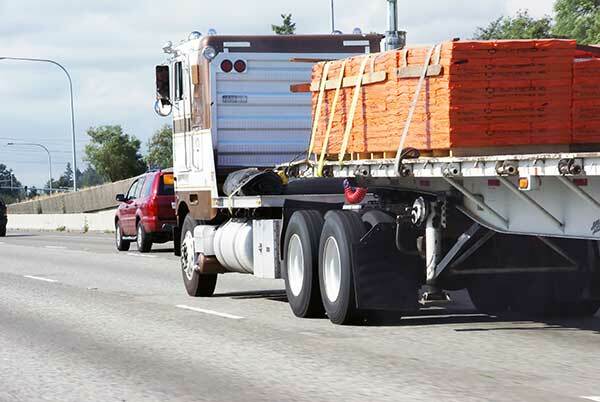 In Canada, the National Safety Code Standard 10 details the rules for safely securing loads to commercial vehicles. This standard was created to ensure the safety of drivers, employees, and the motoring public. Carries must ensure that any cargo they carry does not shift, move, or spill onto the roadway (Alberta Government 2014). It outlines the standards which can be adopted by the various Canadian jurisdictions. 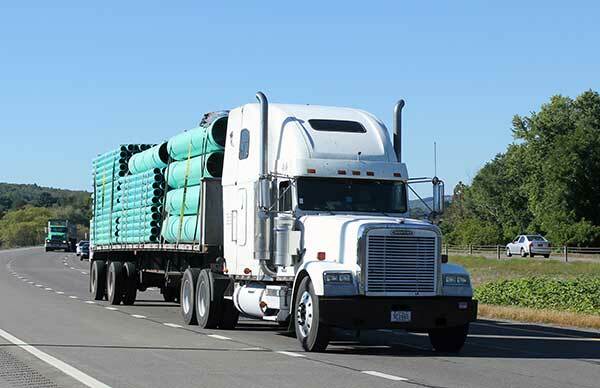 Each province in Canada has additional legislation governing commercial vehicle safety, including cargo securement. For example, Section 17(4)(a) of the Alberta Commercial Vehicle Safety Regulation (AR 121/2009) states that all cargo must be properly secured by a carrier according to the requirements found in the National Safety Code Standard 10. 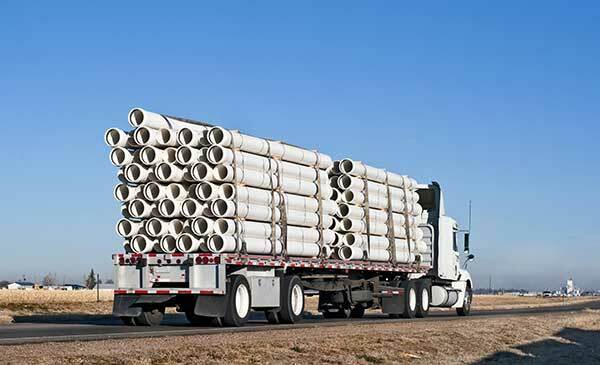 The Cargo Securement Flatbeds course is an informative and interactive program designed to instruct professional drivers on the procedures and protocols for ensuring that a cargo is properly secured on a flatbed truck. Everyone who pulls a flatbed for a living knows that properly securing cargo to a flatbed trailer is key to safe and profitable operation. Improperly secured loads can result in damage to the cargo, loss of the load, damage to vehicles and other property, and even serious injury or loss of life. As a professional flatbed driver, you’re responsible for transporting a variety of important cargos on the nation’s highways. It is your responsibility to ensure that whatever you’re transporting is secured in a way that protects the cargo, the vehicle, and the public. 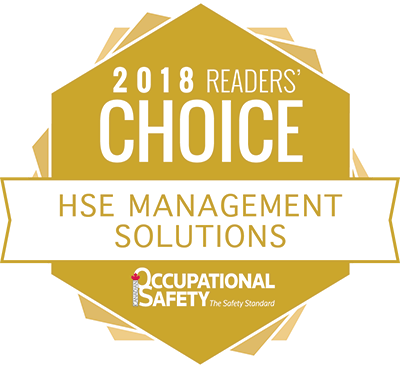 You must also understand the regulations regarding securement, master the techniques for different loads, and recognize the potential hazards related to cargo securement in your everyday work. The course is presented with voiceover narration, and features videos and activities to enhance the educational experience. The course material includes a highlight sheet describing the key activities for each section of the program and a copy of the complete course transcript for easy reference. Particular focus is given to calculating the aggregate working load limit, and its relationship to the type of tiedowns used for securing the cargo. In this section, you will learn how to make accurate calculations through illustrations, videos, and activities using a tiedown calculator.